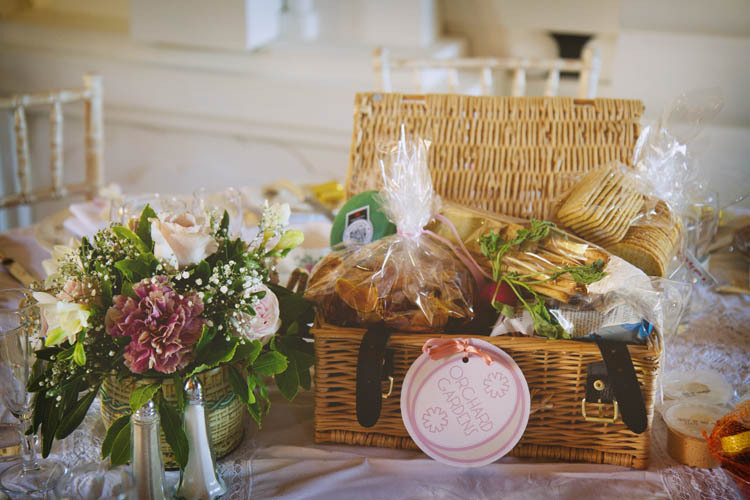 A luxury picnic hamper containing a tasty and filling ploughman’s lunch. 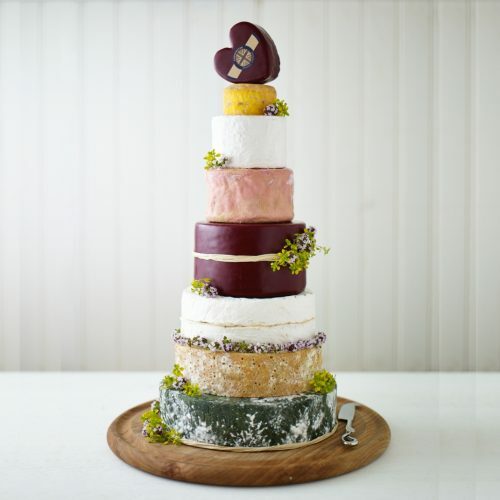 Perfect for a rustic wedding with produce locally sourced from Somerset including bread, cheese, ham, salad, chutney, pickled onions, pork pies, quiche and scotch eggs. Vegetarian options available. Price is per person. Minimum order of 10. Note: Price is based on 10 people sharing a table/hamper. 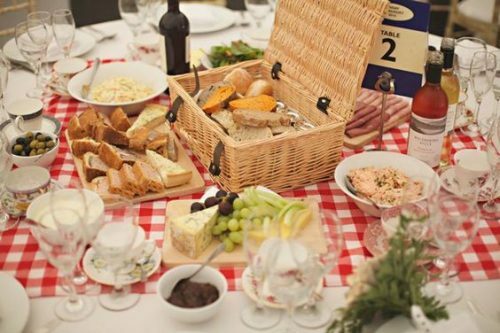 Please enquire if you require less or more people per table/hamper. 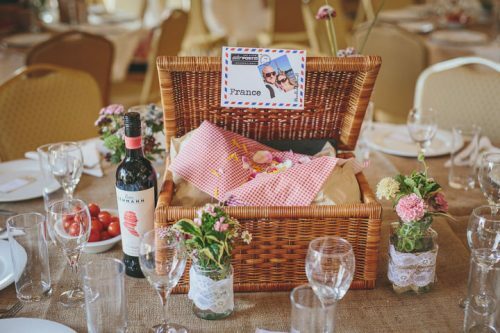 Each table of 10 will receive 2 round loaves of bread, 10 slices of ham, 900g of cheese, large bag of salad, jar of salad dressing, a large pork pie, 1 jar of pickled onions, 2 jars of chutney, 1 block of butter, 5 mini quiches or one large one and 5 scotch eggs. This is roughly equivalent to a large wedge of cheese, a thick slice of bread, a slice of ham, a generous handful of salad, a wedge of pork pie, a slice of quiche and 1/2 a scotch egg plus pickled onions, chutney, dressing and butter. Plus a bread board, bread knife, cheese board/slate, cheese and butter knife.